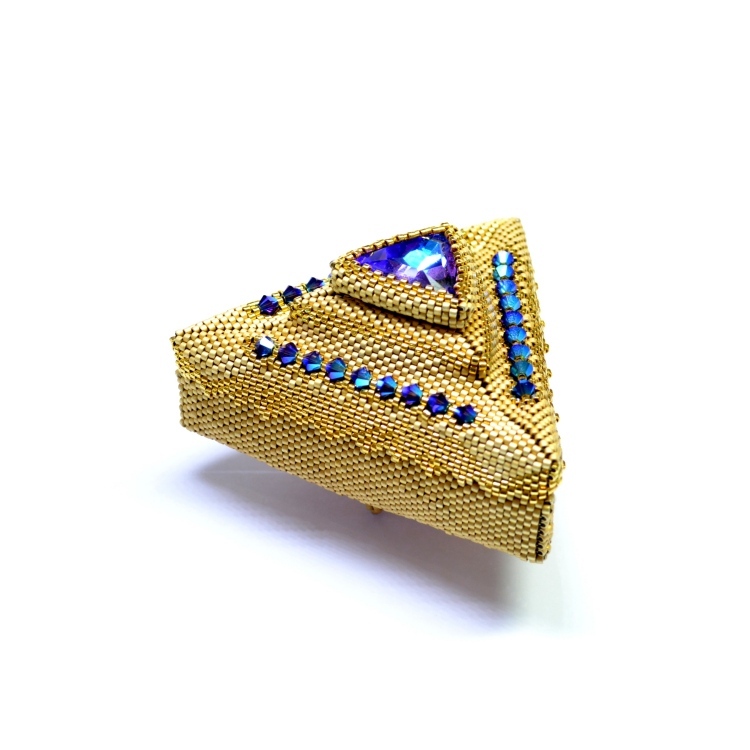 This striking geometric box is a masterclass in basic geometric beadwork techniques with added sparkle and interest! 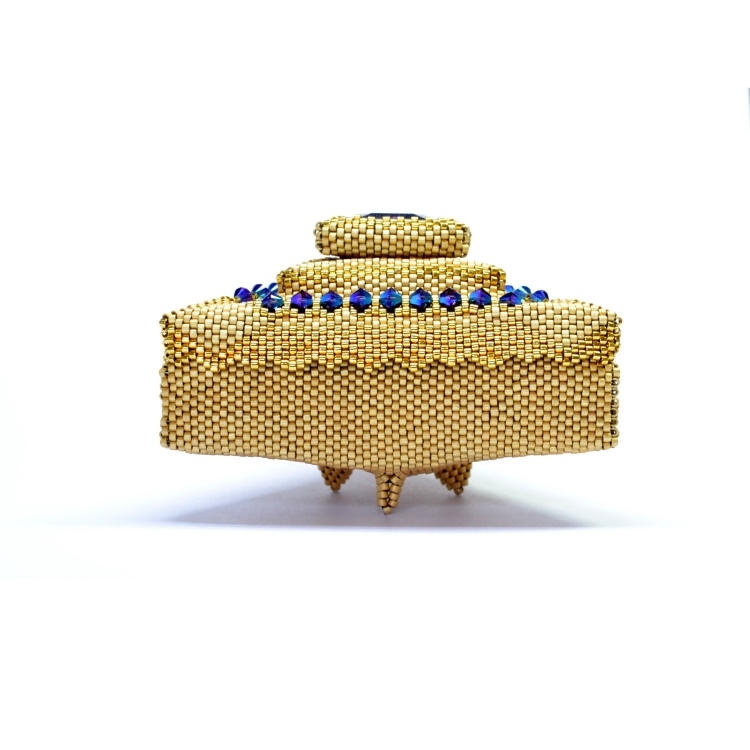 This box, which functions as some very dazzling storage, has integral feet and more crystals beaded into its structure in addition to the large feature crystal on the lid. 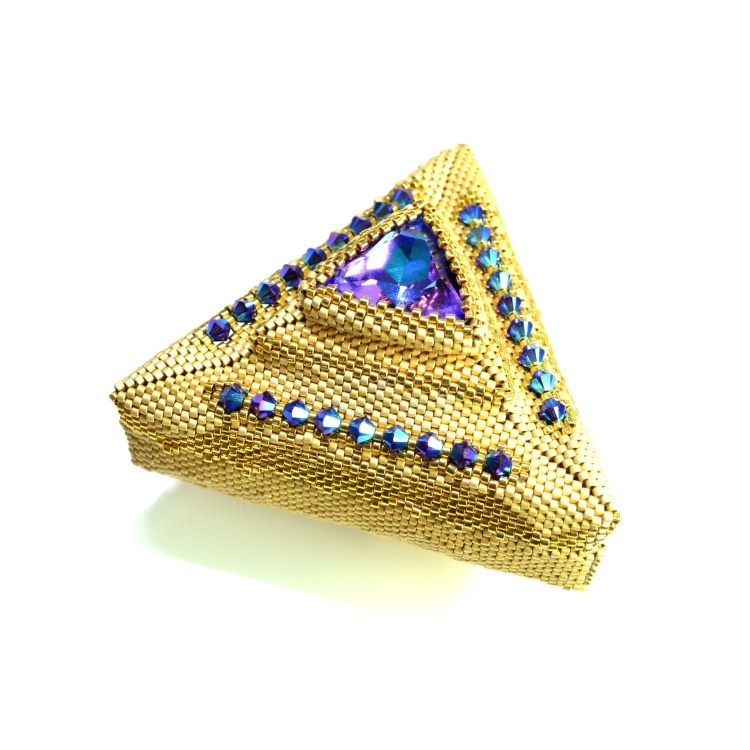 This project, and variations on it, are featured in my Iskra Box Class.